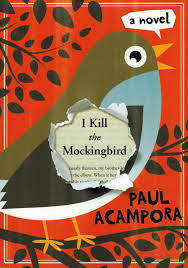 When everyone’s favorite 8th grade English teacher, Mr. Nowak, dies, Lucy, along with her friends Elena and Michael, sets out to get everyone in her class– and in her town– to read his favorite book To Kill a Mockingbird. She and her friends are about to make the book “go viral” in a way nobody expected. Visit the publisher’s page and the author Paul Acampora. This novel in verse has already won the Newbery and Coretta Scott King Awards. Will it get your vote? “With a bolt of lightning on my kicks . . .The court is SIZZLING. My sweat is DRIZZLING. Stop all that quivering. Cuz tonight I’m delivering,” announces dread-locked, 12-year old Josh Bell. He and his twin brother Jordan are awesome on the court. 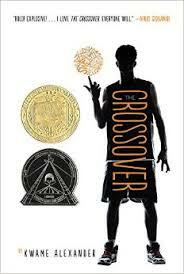 But Josh has more than basketball in his blood, he’s got mad beats, too, that tell his family’s story in verse, in this fast and furious middle grade novel of family and brotherhood from Kwame Alexander. 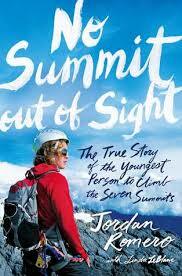 Josh and Jordan must come to grips with growing up on and off the court to realize breaking the rules comes at a terrible price, as their story’s heart-stopping climax proves a game-changer for the entire family (from HRH Books).